Houston Texans star J.J. Watt took to Twitter Saturday morning to thank those who reached out to him with cards, gifts and well-wishes. "Appreciate all the cards, gifts & well-wishes! Life would be boring if it was always smooth. Embrace the adversity!" Watt tweeted. 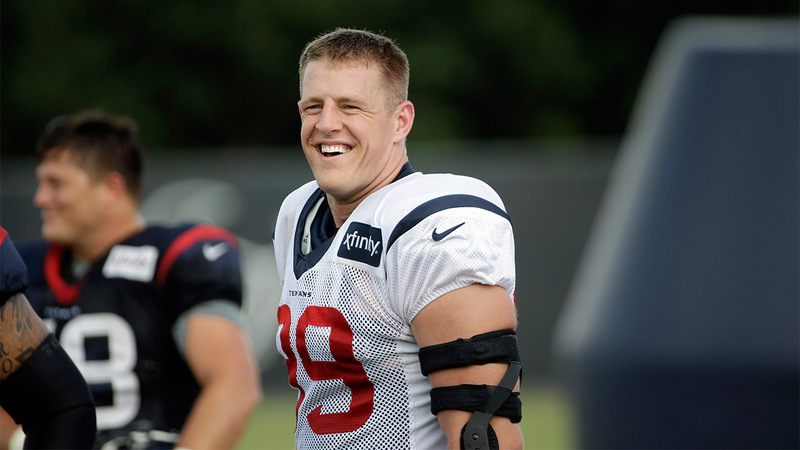 Watt underwent groin surgery earlier this month.